Online customer reviews shouldn’t be seen as a nuisance. When acted upon correctly, they can be a valuable business tool. Here are five reasons to encourage your customers to leave reviews. A glowing online customer review can help you to identify what your company strengths are. You should work on honing these strengths if you can – for example, if you own a restaurant, and people keep complimenting your vegan options in their reviews, you may want to consider making the fact that you cater to vegans a greater part of your selling point. Negative reviews can also have their benefits. They can often be great ways of helping you to identify weaknesses, helping you to improve your service. These reviews at Review Trackers are good examples of how companies have used negative feedback constructively. 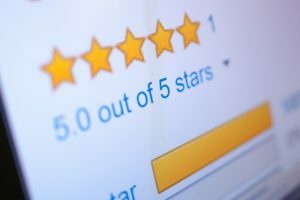 Negative reviews needn’t damage your reputation – by taking advice from them you can build a better company and improve your reputation by showing your consumers that their feedback matters. Positive online customer reviews can be free marketing for your company. Many consumers read reviews in order to determine whether they should trust and use a company. By encouraging reviews, you can therefore encourage more new customers. Given that reviews are public information, it’s possible to take excerpts and use them as testimonials on your website as well as using them to support case studies such as this Tristar Inc. products review. You can even print reviews onto signage, quote them onto business cards and use them in presentations to win over clients. It’s also possible to use reviews to encourage return customers. A customer that has taken the energy to write a positive review is more likely to remember that company and want to return. As for negative reviews, it’s possible to reply to these on platforms such as Trip Advisor and encourage these unhappy customers to return by offering discounts – many of these unhappy customers will accept your offer and return. When it comes to SEO, online customer reviews are also useful. The keywords used in reviews by customers can affect your search engine results – if someone is searching ‘cheap car hire’ and this phrase is used in many of your reviews by customers, you’re more likely to be discovered online. You can even try incorporating phrases found in your reviews into your company website (reviews are often a good keyword research tool). ← Have You Got What It Takes To Knock A Local Fitness Group Into Shape?